Avengers 4 looks set to bring time travel to the MCU, but has Nick Fury been seeing the future all along? A new theory suggests that Captain Marvel will dabble in time travel too in a bid to explain the S.H.I.E.L.D. Director’s sometimes preternatural degree of foreknowledge in the MCU. 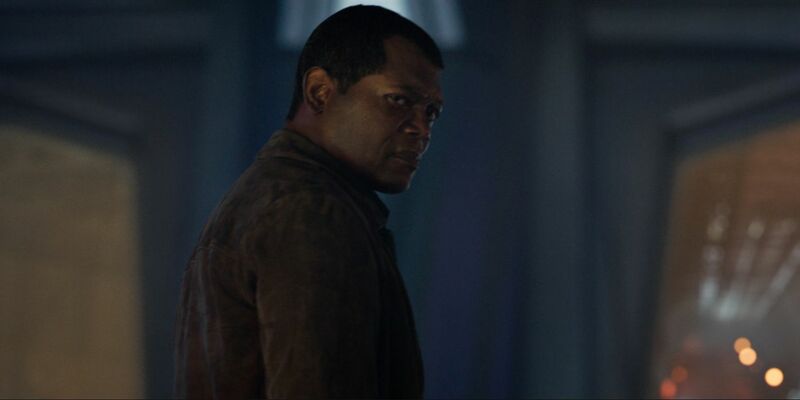 This theory (started by a user on Reddit) suggests that, in Captain Marvel, Nick Fury will somehow experience the future of the MCU. While he won’t know all the details, he’ll know enough to realize that he needs to rise through the ranks and take charge of S.H.I.E.L.D. The Avengers Initiative will become his focus simply because he’s foreseen how important Earth’s Mightiest Heroes will be to protecting the planet. And, crucially, he’ll also be warned of the cliffhanger ending of Avengers: Infinity War – a single catastrophic moment when half the life in the universe is obliterated in seconds. While it’s a madcap idea, Fury’s foreknowledge would neatly explain so many aspects of confusion in the MCU, from why he chose not to summon Captain Marvel until Thanos, to why the Avengers exist in the first place. 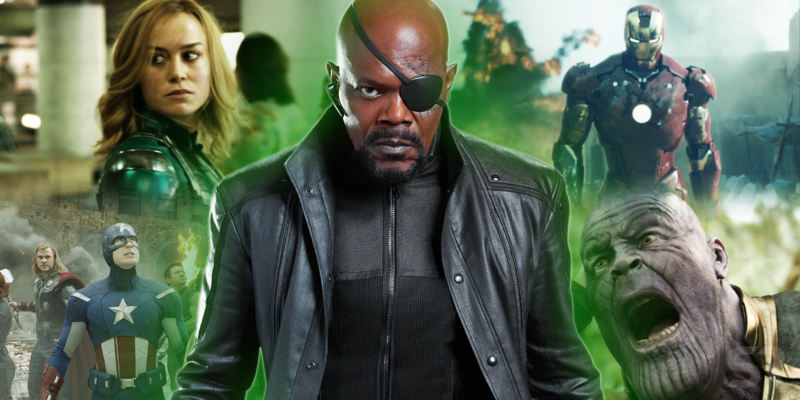 Page 2: Would a Time Travel Nick Fury Work in Avengers 4? It’s generally believed that, in the MCU, time travel will be possible by entering into the Quantum Realm. The Quantum Realm is actually inspired by real-world scientific theories; that if you shrink beneath a certain level, the fundamental laws of time and space begin to break down. As such, time travel would theoretically be possible. 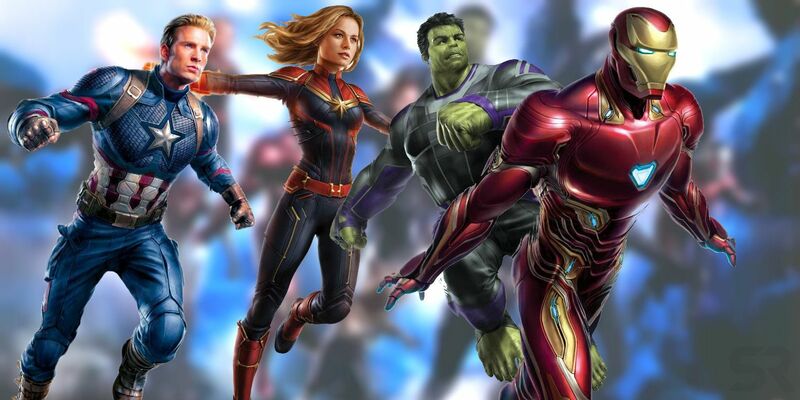 Supporting this theory, leaked toy box art has shown the Avengers wearing containment units very much reminiscent of Hank Pym’s Quantum Realm suits in Ant-Man & the Wasp. The Quantum Realm has already been confirmed to feature in Captain Marvel in some capacity, although how has yet to be revealed. One theory is that the MCU version of Captain Marvel will gain her powers through exposure to the Quantum Realm – certainly, the flare of energy that engulfs Carol is very much reminiscent to the Quantum Realm explosion in Ant-Man & the Wasp – or that she’ll end the movie trapped in the microverse ahead of Avengers 4. But, with time travel coming to the MCU, could we end up getting a tease of that concept? This may well explain many of Nick Fury’s actions in the MCU to date. When Fury approached Tony Stark in the post-credits of Iron Man, he told him that he had “just become part of a bigger universe – you just don’t know it yet.” This statement sounds cool but doesn’t hold up to scrutiny; while Fury knew of other superhumans, such as Ant-Man or Ghost, he doesn’t seem to have considered any of them for membership of the Avengers Initiative. The “bigger universe” he intended Tony Stark to operate in was really one featuring other characters who Fury had yet to meet. All this fits with the idea of Fury experiencing a vision of the future: he knew that Tony Stark was destined to be part of “a bigger universe“; he knew that Steve Rogers was alive; and he knew that the Avengers would indeed return. In Avengers: Age of Ultron, it’s Fury who turns up to motivate the team on the course that will lead to the creation of Vision. Of course, Fury’s knowledge couldn’t be perfect – he wasn’t aware of Hydra’s infiltration of S.H.I.E.L.D., after all – but that makes sense; if he experienced just a brief vision of the future, it would involve select moments. The question of this theory, though, looks to the future: how does this impact Thanos & Avengers 4? Page 2 of 2: Would a Time Travel Fury Work in Avengers 4? But how would Nick Fury’s foreknowledge affect the plot of Avengers 4? The most important clue may lie in the fact that all the original Avengers, the heroes hand-picked by Nick Fury, survived the snap. Ant-Man & the Wasp raised curious questions about Fury’s decision-making process back when he formed the Avengers; why didn’t he recruit Ghost, a super-powered asset who was even working for S.H.I.E.L.D. at the time? In light of him seeing the future, it’s possible Fury chose his team simply because he knew these were the people who would survive Thanos’s wrath, and who would need to work together to put the world to rights. No doubt some twists in the tale took him by surprise – the bitter acrimony between Steve Rogers and Tony Stark would have troubled him – but he’d have been confident both would put their divisions behind them in order to avert or undo the snap. Further, as mentioned, this explained why Fury never called in Captain Marvel before; if he knew Thanos was the ultimate threat, he would wait for that. 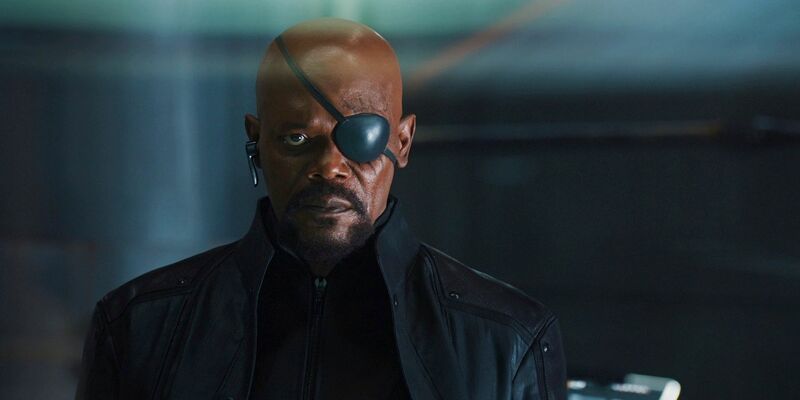 If this theory is correct, then everything that happens in Avengers 4 – and, indeed, the MCU so far – has effectively been orchestrated by Nick Fury. He’s ensured the Avengers know one another, and are used to working as a team, then called in Captain Marvel at the moment she’s most needed. The one thing he presumably didn’t foresee was his own death as part of the snap – hence his emotive and surprised reaction when he dissolved in Avengers: Infinity War‘s post-credits scene. The fundamental question, then, is simply: will Marvel do this? It’s important to note that this theory only works if some kind of time travel technology – most likely exposure to the Quantum Realm – is part of the plot in Captain Marvel. 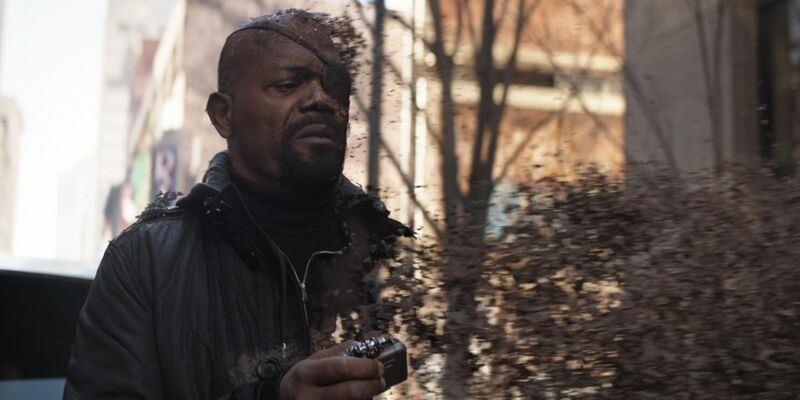 But that, combined with potentially catching a glimpse of Nick Fury’s vision of the future, may give away a little bit too much of the plot of Avengers 4, and otherwise deflate the defeat felt at the end of Avengers: Infinity War. At the same time, though, this would be an effective explanation for what otherwise seems nothing more than the happy coincidence that all of the original Avengers survived the snap. From an out-of-universe perspective, this allows Marvel Studios to bring their story full circle; it’s a smart strategic play that ensures Avengers 4 is a satisfying conclusion to the MCU’s first three phases. But the idea that Nick Fury saw the future, and carefully chose the original Avengers because he knew they would be the ones to save the universe from Thanos, provides an in-universe justification for this. Ultimately, though, as tight as this Avengers 4 theory is – both thematically and in terms of the MCU’s sprawling narrative – it may just be a step too far for a movie involving a mammoth cast, time travel and who knows what else.